Micro-modules are setup behind the switches and meters, with no additional cables, radio or line bus: the devices communicate via the existing wiring. The system uses the latest low energy Power-Line Communication (PLC) technology developed at the Swiss Federal Institute of Technology (EPFL). Thanks to this exclusive technology, all the devices of your home that are connected to modules become completely controllable from the wall-mounted touch screen, your smartphone, your computer or your tablet. 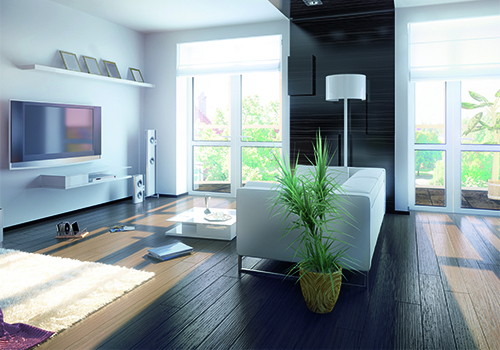 To regulate heating, a temperature sensor is connected to the switch in each room. An electronic control box is connected to the meters and heating valves near the heating ducts in the boiler room. 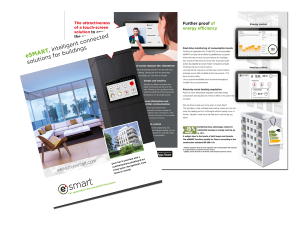 With eSMART, all of these functions are available without any major installation work and at a reasonable cost. 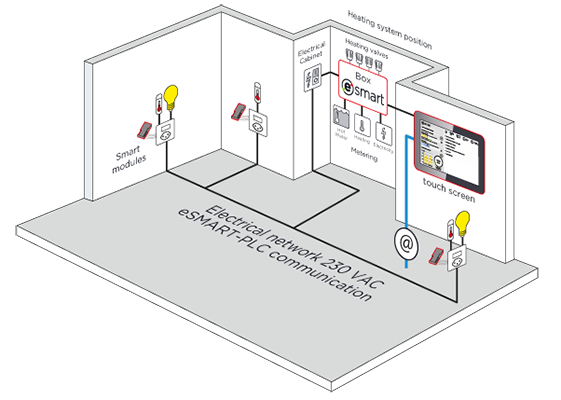 Without programming or configuration, the eSMART system optimizes the calculation time for project and installation. Whether you require renovation or new construction. It is scalable and can be completed on a timeline. 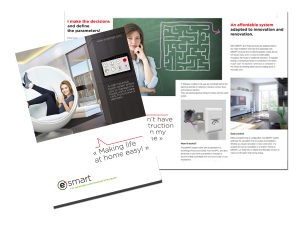 Thanks to eSMART, you finally have a reliable and affordable solution to make your life easier while saving energy.